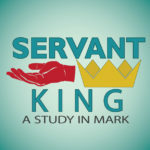 Servant King – Week 18 – Stewardship – What do disciples do with what they have? Just as a way of introduction, we are in Mark chapter 12, 6 weeks ago we looked at Mark Chapter 11. We have been following the path of Jesus and His disciples. AS we have discovered Jesus is the servant King. He has come to this earth to sacrificially give all he has to save us from our sins. That is incredible news right? In fact it is the “GOOD NEWS” of the GOSPEL. Jesus has spent time training His disciples, teaching them what the Kingdom of God looks like, how to be a servant. He has been chipping away at their unbelief. Their baggage, their failures and their presuppositions. He has told them clearly what is about to happen in the next week or so. Jesus is coming to the climax of His ministry. Everything Jesus says from this point on is going to be crucial for the disciples to understand. There is not much time to repeat Himself. They know who He is and what He has come to do. Now He begins to help them see His desire for them and what He wants them to do. In Mark 11 Jesus is now in Jerusalem, and he has just “cleansed the temple”, and had a argument with the Sanhedrin (Pharisees, Sadducees, and scribes.) about His authority. This confrontation is getting more and more heated. They are committed to trapping Jesus for the purpose of putting Him on trial and killing Him. In fact, in three days he will be captured, tortured and put to death. Jesus is coming to end of his time to teach the disciples everything they need to be ready to take this new role of leading the church. As He begins to teach them the last few lessons He brings up the topic of stewardship. In fact, I believe this entire chapter has the theme of stewardship wound through it. Before we dive in today, lets define what stewardship is. Does anyone know what a steward is? Some people think it is flight attendant or something like that for a ship. In it’s most basic meaning it is a servant. Remember Jesus is the Servant King. But more specifically a steward is a manager. In every stewardship relationship there are two parties involved: the master who hands out the resources and will one day ask for an accounting; and the steward who is entrusted with the resources and must eventually answer for how they were invested. God is the master; he distributes everything at his discretion. We are stewards, accountable to him for all that we do with all that we have. Here lies the fundamental principle of biblical stewardship – the fundamental principle of all Christianity, in fact: We own nothing. God owns everything; we are simply managers. The Bible says, “You may say to yourself, ‘My power and the strength of my hands have produced this wealth for me.’ But remember the Lord your God, for it is he who gives you the ability to produce wealth” (Deuteronomy 8:17-18). This is the truth of the Gospel. We do not bring anything to the table, even when it comes to our salvation. God does it all. We are helpless and hopeless. Dead in our sins, but Christ comes and fulfills the requirements for our salvation, pays the cost and gives us not only forgiveness but His righteousness in place of our sins. Talk about a raw deal for Him and a sweet deal for us. But He did that all for us because He loves us. Not only that but He then prepares us to do work for Him. He gives us a purpose and a plan for our lives, and even gives us His Holy Spirit to empower us to do what He calls us to do. We don’t bring anything to the table. Instead He brought the table to us. 25 In the same way, after supper he took the cup, saying, “This cup is the new covenant in my blood; do this, whenever you drink it, in remembrance of me.” 26 For whenever you eat this bread and drink this cup, you proclaim the Lord’s death until he comes. We don’t bring anything to the table. It’s all God’s. This principle carries some weighty implications. First, since God owns it all, He holds the rights that come with ownership. Since we only have what we have been allowed to have, then we operate primarily in the realm of responsibilities. Hear that clearly: God has rights; we have responsibilities. God has entrusted us with certain resources, gifts and abilities. These things rightfully belong to him. Our responsibility is to live by that trust by managing these things well, according to his design and desire. Another implication is that since God owns everything and expects us to manage things according to his plan and purpose, every decision is a spiritual decision. Whether it’s buying a new car or going to the movies, how we use our time and money matters a great deal to God. God demands to be in the loop on every investment, purchase and decision. The most famous story of someone who was a steward was Joseph in the Old Testament. In Genesis 37,39-50, is the story of Joseph. In fact, this is who my son is named after. I love the character of Joseph in the Bible. He provides us with a classic example of stewardship. His life is the ultimate good news/bad news story. He is his father’s favorite son, but that makes his brothers jealous. His father gives him a beautiful coat, but his brothers tear it off and sell him into slavery because of it. He finds a job working for a wealthy man who puts him in charge of his household, but his boss’ wife tries to seduce him. Joseph resists, but this makes her angry enough to falsely accuse him and have him thrown into jail. In prison, Joseph is put in charge of the care of the prisoners as an inmate. He meets a royal official, interprets a dream and receives a promise of parole, but the official forgets and Joseph languishes in prison for two more years. We want to rush to the end, where Joseph is large and in charge, reconciled to his brothers, enjoying luxury, and they all live happily ever after. But Joseph models something more important for us. Stewardship happens in the meantime. Regardless of his circumstances, whether he was on an upswing or a downturn, Joseph utilized the resources available to him for great good. God was with Joseph, he was always put “in charge” (Genesis 39:4, 22; 41:41). From Potiphar’s house to the prison ward to Pharaoh’s Egypt, Joseph built others’ fortunes by managing their resources and managed situations well regardless of his own comfort. That’s what stewardship entails. In each occasion he showed what it meant to be a good steward. He understood that the role he played was to prosper his “master” to manage the masters wealth, to do what the master wanted him to do with the resources he had been given. But Joseph was only a picture of who Jesus is. Jesus was a steward of the mission God gave Him and He was a faithful to do it to the end. The redemption of us all. Here in Chapter 12 Jesus is begins with a parable or story of that focuses on stewardship and condemns the nation of Israel and specifically the leaders who are out to kill Him. Then Jesus began teaching them with stories: “A man planted a vineyard. He built a wall around it, dug a pit for pressing out the grape juice, and built a lookout tower. Then he leased the vineyard to tenant farmers and moved to another country. 2 At the time of the grape harvest, he sent one of his servants to collect his share of the crop. Parables are earthly stories that have a deeper spiritual meaning. Here we see a story that Jesus uses to describe God’s relationship with the Jewish people primarily but it also reflects the relationship He also calls us to have with Him as well. God is the planter of the vineyard. Notice all that He does in the process. He plants, He protects, He prepares and He provides. For the ancients, the tower was a symbol of strength, visibility and protection. The Lord God is the fulfillment of that symbol. Then He gives and opportunity to join what He is doing. Notice in verse 2 He expects the tenant to manage the vineyard and to return a portion of His crop. The truths we see here are profound. God is the owner, we are just temporary tenants. It is His crop, not ours. Many people in the world accuse the church of being all about the money, but the truth is there is nothing we have that is not from God. As disciples if we understand this we recognize that everything we have and do is God’s. That job you have is God’s job for you. Those people you have in your life are God’s field that He desires for you to care for. And the money in your wallet is the resources He gives to you to be used to honor Him. He asks that we use those resources and give a potion back to Him. This is critical for all disciples to understand. 3 But the farmers grabbed the servant, beat him up, and sent him back empty-handed. 4 The owner then sent another servant, but they insulted him and beat him over the head. 5 The next servant he sent was killed. Others he sent were either beaten or killed, 6 until there was only one left—his son whom he loved dearly. The owner finally sent him, thinking, ‘Surely they will respect my son.’ 7 “But the tenant farmers said to one another, ‘Here comes the heir to this estate. Let’s kill him and get the estate for ourselves!’ 8 So they grabbed him and murdered him and threw his body out of the vineyard. In this story servants sent to Israel where the prophets, they were rejected and killed by the people. We see this over and over in the Old testament, that those sent by God to guide and direct His people to honor God were rejected and killed. Finally God sends His “Beloved” Son, to them, expecting that they would respond to him differently. Ultimately God sends His son to us in hopes that we will respond to Him. In researching this passage the idea that they kill the son is because they think the father is dead and that if they kill the son they will own everything for themselves. Then they can do whatever they want with the resources. First let me say, God is not dead! But functionally we act as if He is dead when we do not honor Him the way asks us to. When we reject His Son we kill the work of God in our own lives. The phrase that they murdered Him and then threw his body out in the vineyard shows the level of disrespect they Had for the owner. The idea that they would not bury the son is like a slap in the face. The owners most prized “beloved” son is not even treated with the respect of a funeral. How often do we treat God with such disdain? How often do we treat God the same way in our relationship to Him and the others around us. Notice the next verses. Ultimately we know that Jesus is talking about His own death and the judgment that will come upon Israel, that God will punish Israel for their disobedience and will give the us a chance to to become part of the Kingdom. Christ alone Cornerstone! The great news is God is faithful to Israel and will one day restore to them there place in God’s plan. The book of Revelation reveals that. But there is a warning here for us as well. If we do not honor God with the resources He gives to us, if we reject Him, if we do not steward His resources there will be a price paid for our disobedience. Ultimately if we died without accepting Jesus as our Lord we will be eternally separated from His love and Grace. But as disciples we risk the blessing and favor of God in our lives when we do not honor God the way He calls us to. Have you ever seen a person who says they are a Christian, but their life is a complete mess and they have absolutely no peace in their life, no favor? I am not talking about temporarily, I am talking about long term persistent hardship without any peace within or without. If they are truly a follower of Christ then that might be the consequences of not honor God the way He desires. The truth is that Jesus is the Cornerstone. He iis the foundation upon which we were built and He more than any person showed us how to live our lives to honor God. he became the Servant Leader who understood that everything He was and everything He had was a gift given by God for His service. The message was not lost on them, will it be lost on us? 13 Later the leaders sent some Pharisees and supporters of Herod to trap Jesus into saying something for which he could be arrested. Here we see the most unlikely of alliances. The Pharisees and the Herodians. They were bitter rivals and enemies, but they came together to try and defeat Jesus. We need to be careful who we ally with. Not all alliances are Godly. 14 “Teacher,” they said, “we know how honest you are. You are impartial and don’t play favorites. You teach the way of God truthfully. Now tell us—is it right to pay taxes to Caesar or not? 15 Should we pay them, or shouldn’t we?” Jesus saw through their hypocrisy and said, “Why are you trying to trap me? This interaction is amazing. These to groups come together and are on opposite ends of the spectrum on this question but that is the power of the trap. The Herodians were Jews that were traitors to the Jewish faith and traditions. (the were the LEFT politically, the liberals of their day that thought the government was the answer) The Pharisees were the opposite end of the spectrum. They were religious legalistic, who were hypocrites instead of following God they were trying to amass power and influence under the name of God, but not truly following Him. If Jesus sides with the pharisees, the Herodians can accuse Him of treason and sedition before Rome, But If He sides with the Herodians the Pharisees can accuse Him of blasphemy and heresy before the Jews. Jesus looks like He has finally been trapped. But the modern Hymn called In Christ alone, reminds that the schemes of men fall to the power of God. Show me a Roman coin, and I’ll tell you.” 16 When they handed it to him, he asked, “Whose picture and title are stamped on it?” “Caesar’s,” they replied. 17 “Well, then,” Jesus said, “give to Caesar what belongs to Caesar, and give to God what belongs to God.” His reply completely amazed them. I have always struggled to understand this response because I never really understood the genius of Jesus’ response. The last sentence says that His reply completely “amazed” them. The word amazed was they were struck speechless. Literally, Jesus turned the argument back on them. His response once again revealed where their hearts were at and made it so they could no longer be in an alliance with each other because if they were they would condemn themselves. Let me explain if I can. Now the Pharisees hated the Roman coin and in fact it was seen as dirty money. They would not accept Roman money in the temple and the chapter before Jesus turns over the money changers tables. In the exchange of the money they charged a fee and profited from the transaction. Then He asks a profound question. Who’s picture and TITLE are stamped on it. This is the genius of the question. The picture is of Tiberius, and the inscription read “Caesar Augustus Tiberius, son of the Divine Augustus” claiming Caeser to be divine of God. Jesus response is in essence puts the argument back in the hand of His accusers. Give to Caeser what is Ceaser’s and Give to God what is God’s. In other words “WHO IS GOD?” If the pharisees claim that Jesus is saying pay Caesar then they are admitting Caesar is God. But if the Herodians claim that Jesus says they should not pay taxes then they are admitting that Caesar is not God. Jesus asks us the same question as disciples and stewards as well. Who is God? If God is Lord then you will respond accordingly, but if you are lord then you will not honor Him the way He asks. Next week we will look at part 2 of this chapter and discover more of what real stewardship as a disciple looks like.